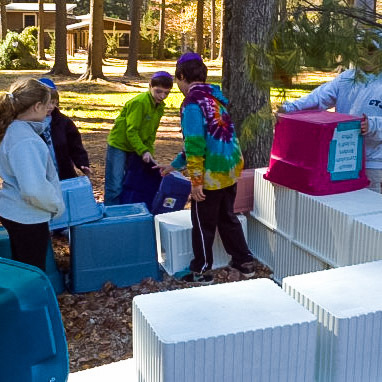 Our Sukkot Extravaganza is a free program (at Camp Ramah in Palmer, MA) which we open to communities throughout New England, featuring a series of hands on and interactive Sukkot challenges. 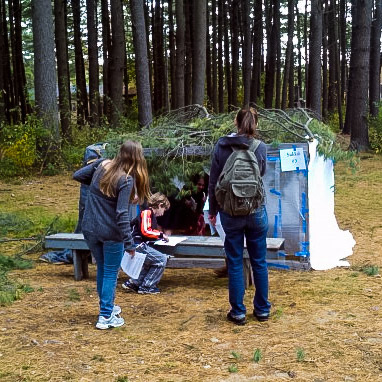 In addition to smaller activities, students have both the opportunity to build model Sukkot as well as investigate our series of creative Sukkot to determine which are or are not kosher. Schools in the past have found it to be a great way engage students in learning about the holiday. To read a more detailed summary from a school that participated in our Sukkot Extravaganza, please click here. The program can accommodate between 40-60 students, and generally takes around 2 hours. We will work with you ahead of time to design a program that is best suited to the grades and class sizes that you might wish to bring. A kosher lunch or snack can also be arranged for an additional cost. 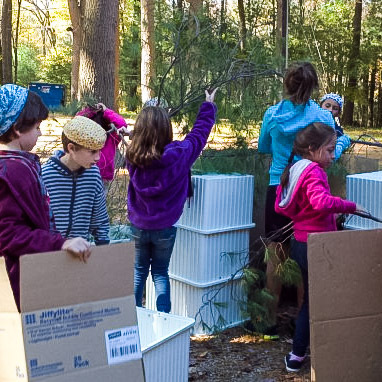 If your community is interested in participating in next year’s Sukkot Extravaganza, please contact Simon Luxemburg, at simonl@campramahne.org or 781-702-5290 ext.111.